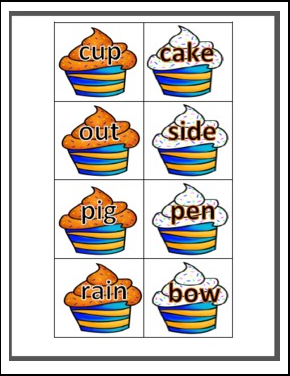 With this FREE, FUN ELA Center Activity, students match orange frosted cupcakes with white frosted cupcakes to create 12 compound words. I have many Holiday and Seasonal Cupcake Compound Word Resources in my store. To view the resources, click any of the links below.